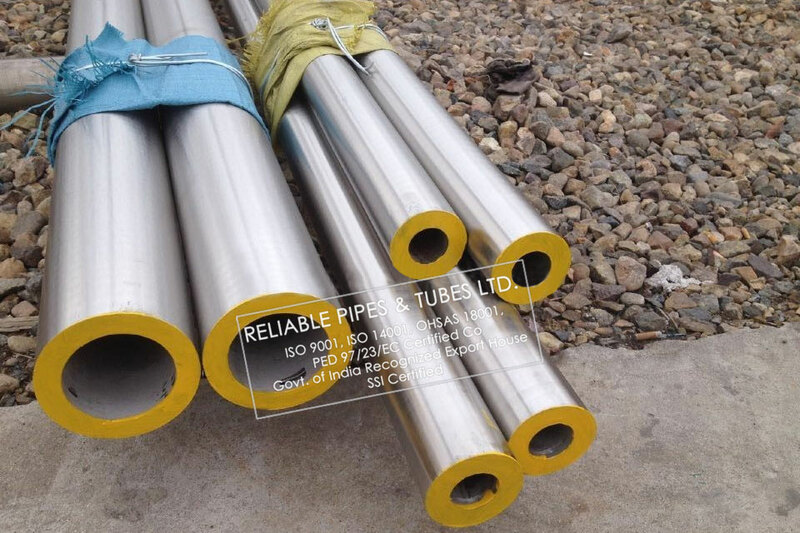 Reliable Pipes & Tubes Ltd. is manufacturer, stockist & supplier the highest quality corrosion and temperature resistant ASTM A790 Super Duplex Steel UNS S32750 Pipe. Reliable Pipes & Tubes Ltd. is PED approved manufacturer & Govt. of India recognized Export House and an ISO 9001 : 2008, 18001:2007, 14001:2004 accredited company. We supply precision smooth bore duplex steel UNS S32750 Pipe/ Tube for marine environments, brackish water, bleaching operations, closed loop water systems and some food processing applications. Reliable Pipes & Tubes has a diverse production range, offering pipe sizes ranging from ½” to 144” (Nominal Pipe Size) and tubing sizes upon request. Reliable Pipes & Tubes Ltd. ensure highest quality Duplex Steel UNS S32750 welded pipe for use in extreme environments. We are focused on meeting both your materials and supplier relationship needs. Our Duplex Steel UNS S32750 Welded Pipe/ Tubing made from cold formed stainless steel have a smooth finish and strong mechanical traits, as well as closer tolerances than hot formed coil-based welded pipe. We also have unmatched wall thickness, length and testing capabilities, making us reliable ASTM A790 Super Duplex Steel UNS S32750 Pipe manufacturers in India. Specifications of super duplex welded pipe produced are A790, A928, and A999. Looking for ASTM A790 Super Duplex Steel UNS S32750 Pipe Price in India?